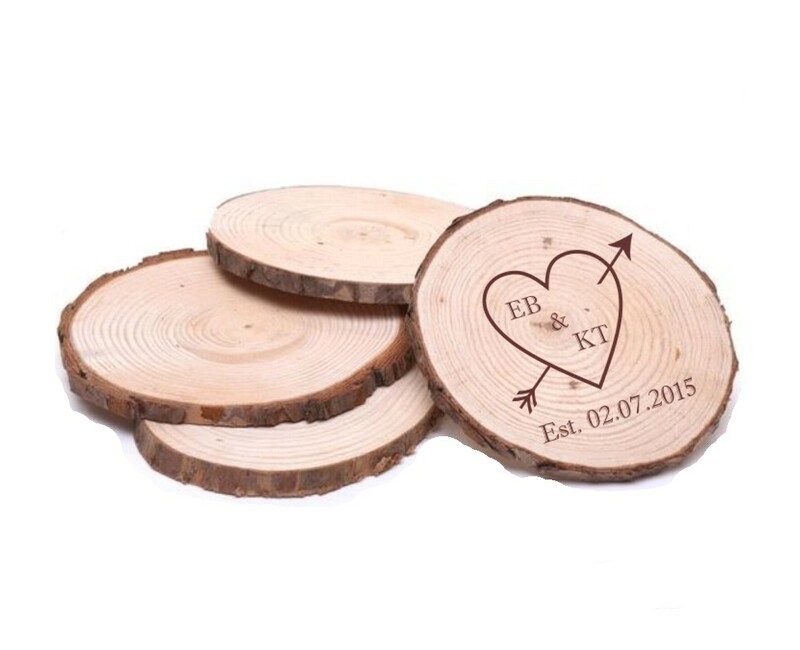 Personalised Engraved Real Wood Round Coasters. These amazing coasters come in a set of 2 and a set of 4. The diameter of each coaster is 100mm and the thickness is 8mm. These are real wood coaster slices so each coaster is different, they are neatly sanded and have a natural rough bark edging. All you need to do is let us know the initials to go within the heart and the date to be engraved. All coasters will be engraved in the same design. Please note the item is made from natural wood and may feature small imperfections and differences in grain, knots and colour which makes it even more unique. Perfect Engagement, Valentine's Day or Wedding gift.